When Performax Labs announced that it had put together a new, more intense version of its pre-workout HyperMax, with HyperMax Extreme, we were extremely excited. The original delivered so well that we knew if the brand were to create a sequel or follow-up that was even just a little bit better, we’d be in for one hell of a ride. 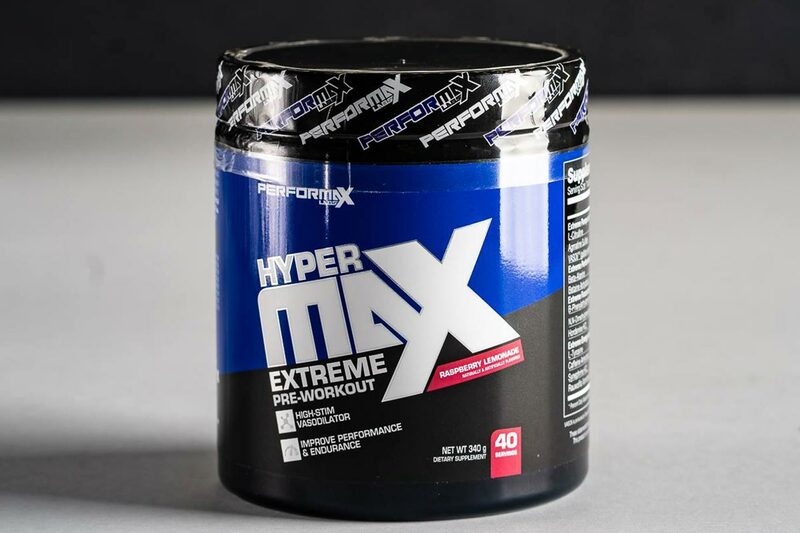 Over the past couple of weeks, we’ve been running Performax Labs’ promising HyperMax Extreme and all we can say is it delivers on the hype. The formula for the pre-workout was only unveiled a few days ago but for those that missed it, we’ve added it directly below to show you the ingredients and doses the brand has packed into this one. HyperMax Extreme performs relatively similar to its predecessor, although that’s not too surprising considering they share a lot of the same ingredients. The key differences are in the intensity of the supplement’s initial energy kick and its ability to enhance muscle pumps, which is an area we felt was lacking in the regular HyperMax. The whole experience with HyperMax Extreme begins when the pre-workout kicks in, around the usual ten minutes after you drink it. You get hit with a full body rush that’ll certainly wake you up if you weren’t already. Shortly after that hit, you’ll want to start working out as that’s about when all of the other noticeable benefits come on. Along with that whole body rush, you get a very strong sense of focus that almost immediately gets your head in the zone and focused on the job at hand. The rush also brings with it physical energy that isn’t as obvious as that initial kick, however, once you start lifting you’ll notice a strong urgency that encourages more reps and less rest in between each set. That stimulating combination of energy and focus in HyperMax Extreme is certainly impressive, although that’s not where it ends. The product comes with the same impressive performance and endurance-boosting side as the original HyperMax. It ensures you’re able to lift at a heavy level for a lot longer than you’re used to, and without feeling any extra exhaustion. The one last effect that Performax Labs delivers on with HyperMax Extreme is muscle pumps, which is easily the one area we felt could’ve been better in the regular HyperMax. The Extreme version corrects that and delivers dense and intense muscle pumps that you can’t help but notice, and are comparable to pre-workouts that are only built for pumps. Performax Labs has truly delivered on the hype with HyperMax Extreme. We had high hopes for the pre-workout, and as per usual, the brand came through with better than we expected. The supplement is an incredible, all-around powerhouse that features all of the effects we look for in a pre-workout. HyperMax Extreme packs intense energy that hits like a train, a very strong and driving mental focus, powerful performance, and unnatural muscle pumps. It is undoubtedly the best pre-workout on the market right now, and with such a smooth balance of effects, it’s not going to be easy for competitors to beat.